Are you looking for an alternative to copper pipe for an air conditioning system? 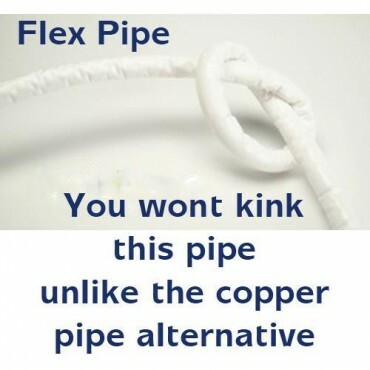 Flex Pipe is a revolutionary multi-layer polymer tube that makes installation safe, simple and efficient. Fold, roll and bend it to meet your specific needs - Flex Pipe resists the most extreme installation challenges. Designed for all popular air conditioning gases currently on the market (including R410a & R32). Resistant to tempatures ranging from -30 °C to 130 °C (110 °C continuous) and suitable for pressures up to 80 bar (certified for 100 bar usage with 450 bar burst pressure). 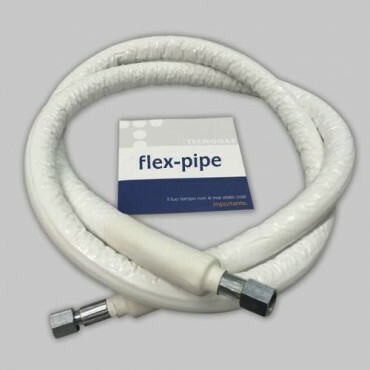 Lightweight and practical, Flex Pipe is tested and certified to the highest standards of durability and quality, giving you peace of mind for years to come. Pipe ends are pre-made. Please select the length you require from the drop down menu on the right hand side. Our easyfit products can only have a pipe run of 6m without more gas having to be added to them by a refrigeration engineer. We are more than happy to provide details of an engineer in your local area who will be able to do this work for you. If you are unsure about any of our products and their pipe runs please call us on 0800 458 0101 or e-mail us and we will be able to advise. Question about Pipework Kit - Flex Pipe (1/4 & 3/8) is Successfully Submitted.